Abbotsford – Preserving heritage buildings has been a hot topic within the Valley over the past couple of years. To celebrate the 100th anniversary of Trethewey House, there will be an event at UFV Abbotsford. Retro Abby: Remembering Abbotsford’s Pasts is on May 17th. The event will feature student research projects, speakers, and community history displays. At the same time, Heritage Abbotsford Society, the charitable organization which operates the site, turns 50 this year. 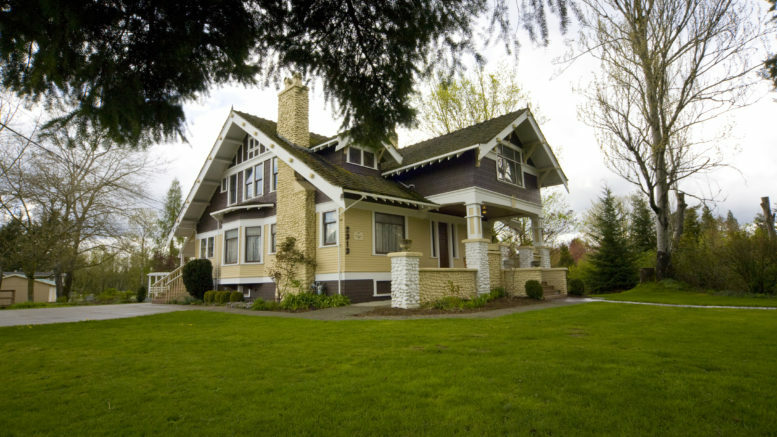 Trethewey House is a Craftsman bungalow. Craftsman refers to a style that became popular in England in the 1860s. It spread to North America and was particularly popular from 1910 to the late 1930s. Trethewey House is a designated civic heritage site in Abbotsford. It is named for its builder, and local timber baron, Joseph Ogle Trethewey. The house was built between using local Douglas fir milled at the Trethewey brothers’ Abbotsford Lumber Company, the mill for which Mill Lake is named. The mill was the largest employer in the community and, during its heyday in the 1920s, the third largest employer in BC. The company’s economic contribution to the community was substantial: providing employment for the majority of the population, through its operations providing cleared land that encouraged increased settlement and driving commercial development. The mill’s head carpenter, Thomas Charles Bailey, oversaw construction using mail-order plans from Sears & Roebuck Company. 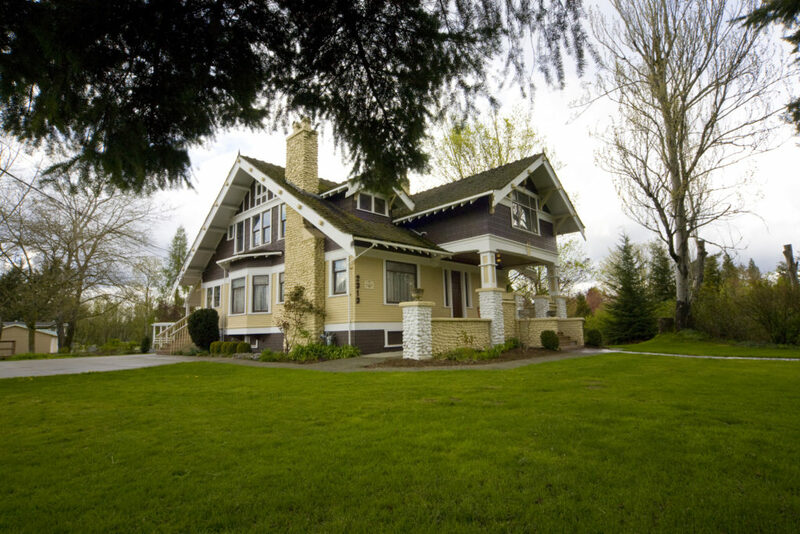 The Trethewey family purchased the house and via the Matsqui-Abbotsford Recreation and Park Foundation, donated the house and property to the joint municipalities of Abbotsford and Matsqui for use as a museum. Between 1980 and 1983, the MSA Museum, renamed Heritage Abbotsford Society in 2017, oversaw restoration of the house, assisted by the BC Heritage Trust and the Matsqui – Abbotsford Recreation Commission. 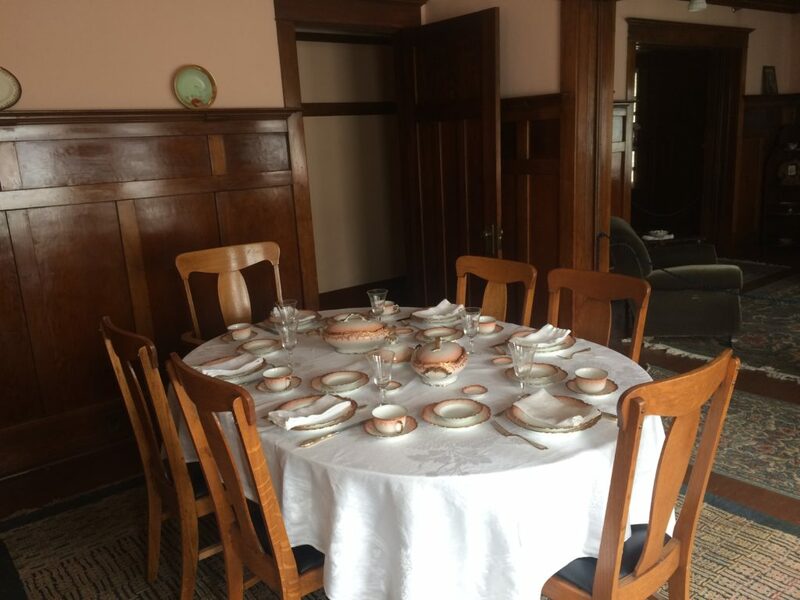 With restoration completed, Trethewey House opened on September 17, 1983. Today, Heritage Abbotsford Society tells the story of Abbotsford through the artifacts displayed in Trethewey House. Typically, these artifacts were made, used, or imported to Abbotsford before 1925, so as to not only be complimentary to the house and the era, but to also be of distinctly Abbotsford heritage. Be the first to comment on "Abbotsford’s Trethewey House Centennial – May 17"